The revised order specifies that a ban on people from Sudan, Syria, Iran, Libya, Somalia, and Yemen does not apply to those who have valid visas. 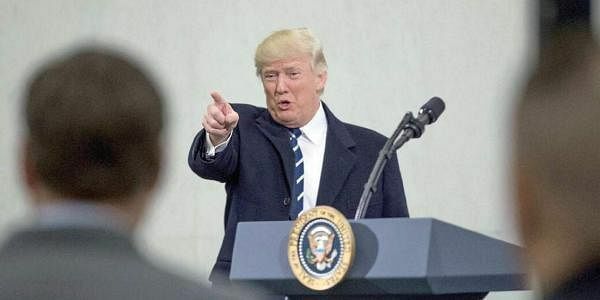 WASHINGTON: President Donald Trump's revised travel ban will temporarily halt entry to the United States for people from six Muslim-majority nations who are seeking new visas, allowing those with current visas to travel freely, according to a fact sheet obtained by The Associated Press. Trump was to sign the new executive order on Monday. The directive aims to address legal issues with the original order, which caused confusion at airports, sparked protests around the country and was ultimately blocked by the courts. The revised order is narrower and specifies that a 90-day ban on people from Sudan, Syria, Iran, Libya, Somalia, and Yemen does not apply to those who already have valid visas. The White House also dropped Iraq from the list of targeted countries, following pressure from the Pentagon and State Department, which had urged the White House to reconsider, given Iraq's key role in fighting the Islamic State group. The fact sheet cites negotiations that resulted in Iraq agreeing to "increase cooperation with the U.S. government on the vetting of its citizens applying for a visa to travel to the United States." A fact sheet detailing the order was distributed to lawmakers and obtained by the AP. Trump administration officials say that even with the changes, the goal of the new order is the same as the first: keeping would-be terrorists out of the United States while the government reviews the vetting system for refugees and visa applicants from certain parts of the world.